Hair fall, dandruff, damaged hair, greying and hair infections are not uncommon. Most of us have suffered as a result of at least one of these problems. The good news is that you are not alone, the bad news? It's going to take some trial and error to figure out what works best for you. So all you can do is be patient. One such hair elixir that has been around for centuries is Hibiscus oil. 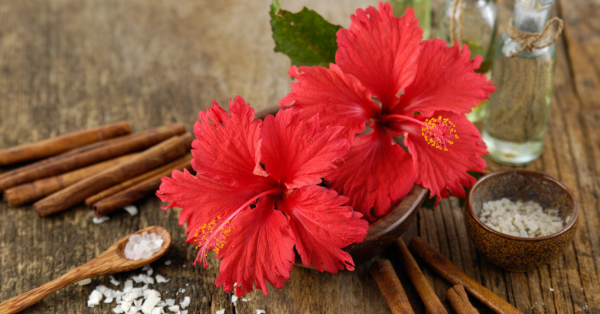 Hibiscus oil has long been compared to coconut oil for all the benefits it has to offer. But can this humble oil live up to the hype? We are about to find out. Hibiscus oil (gudhal oil) is the oil extracted from the flowers and leaves of the hibiscus plant. 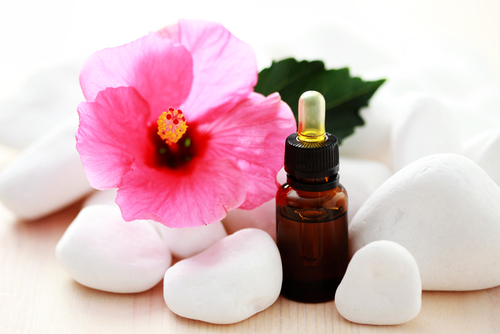 Hibiscus oil is a bright summery, exotic plant that has uses in medicine, beauty and hair care. The tropical flower is spotted in a wide variety of colours ranging from white, pink, red and yellow. Apart from being the perfect beach hair accessory, the oil extracted from the hibiscus plant is commonly used as a hair conditioning treatment. The oil extracted from the hibiscus flower is rich in antioxidants, Vitamins A and C and full of Alpha-Hydroxy Acids and Amino Acids. The composition of this oil is pretty awesome for your body, hair and skin. Use it as a deep conditioning hair treatment or use it in your hair masks, it definitely won't let you down. When used as a hair oil or hair treatment, hibiscus oil is said to boost hair growth, reduce dandruff, make your hair thicker and reduce premature greying. These are just some of the benefits of the floral oil. Keep reading to know what some of the other benefits are! Hibiscus oil when used as a deep conditioning hair oil or in a homemade hair mask helps boost the shine of your hair. It also softens your hair! To create your own DIY hair mask using hibiscus oil, mix a few spoons of the elixir in curd or aloe vera gel until it forms a thick paste. Apply this to your hair and leave it on for a few hours. 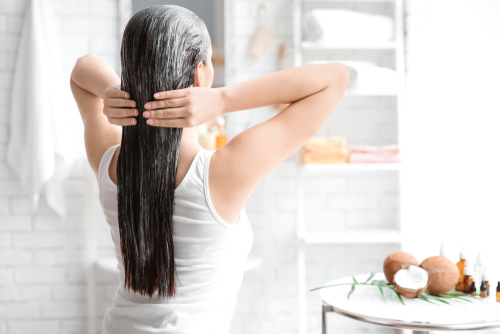 Give your hair steam if you can and rinse it off with lukewarm water and a mild shampoo. You will be amazed at how dazzling and beautiful your hair looks! Being rich in Vitamin A and C and in Alpha Hydroxy Acids, hibiscus oil helps moisturise, condition and exfoliate. Therefore when used regularly, it can help reduce the occurrence of a dry, flaky scalp. Even if your scalp is itchy and irritated, a hot oil massage using hibiscus oil will help alleviate dryness and control itchiness. Since the oil is rich in Vitamins A and C, it boosts collagen production and helps your hair grow longer and stronger. Heat up some hibiscus oil and mix it with a little bit of coconut and castor oil and massage it into your scalp. Do this regularly in the night, prior to your routine morning hair wash. Keeping the treatment on overnight will help the oil penetrate deeper and nourish your scalp while conditioning your hair. Why does your hair start to grey? It's not always got to do with your age. Sometimes the health of your hair can also be a cause for excessive greying at an early age. A deep conditioning hair treatment every week or fortnight will ensure that your locks are at the peak of their health and look shiny and lustrous. The amino acids in the hibiscus oil are responsible for strengthening your hair, reducing hair fall and preventing premature greying! If that's not reason enough to go grab yourself a bottle of hibiscus oil, I don't know what is! Because of the AHA's (Alpha Hydroxy Acids) present in the oil, it acts as a natural exfoliator. The natural acids present in the oil will help exfoliate and nourish any part of the body it is applied to! As we mentioned before, hibiscus oil is rich in Vitamin A and C, both of these vitamins help nourish your skin and increase its recovery time. Vitamin C is commonly used in most acne treatments to lighten and brighten skin while helping fade blemishes and acne scars. When used as a moisturiser on the face and body, the Vitamins and antioxidants present in the oil increase the elasticity of your skin, boost collagen production and keep your skin looking and feeling bright and soft! With regular use, you will notice that the appearance of fine lines and wrinkles is reducing. Mix a few drops of the oil with your daily moisturiser to boost its efficacy. You could even use hibiscus oil as a facial oil every night once you are done toning and moisturising. Use it as the last step in your skincare regime. Depending on your concern you can use hibiscus oil for multiple applications in beauty. 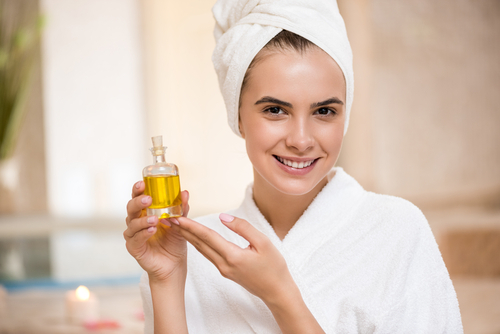 The best and most effective way to make the most of this oil would be to replace your regular hair and body oil with a bottle of hibiscus oil. That way, it could be the answer to all of your beauty needs. A head massage with hibiscus oil, coconut oil and castor oil will help your hair grow long while strengthening your roots and nourishing your scalp. The oil is quite beneficial in getting rid of scalp infections like dandruff and dry-flaky scalp. When used as a body massage oil, hibiscus oil will help brighten your skin while mildly exfoliating any dead skin. This will give your body an overall brighter, even-toned finish and make your skin soft and smooth. The oil is lightweight so it absorbs easily, the best way to use this would be on damp skin post a warm shower. Rub it into your skin until it disappears and then towel dry. Your skin will feel soft, supple and glow all day long. With regular use, any marks like cuts and bruises will fade too. This is on account of the Alpha Hydroxy Acids that will work to exfoliate your skin while Vitamin C will promote healing and scar fading. The Vitamin A will boost collagen production, helping your skin heal faster. Vitamin A is also a known antioxidant used in various skincare products. It will also erase any fine lines, wrinkles and age spots. Hibiscus oil is a versatile ingredient that can be added to numerous homemade hair masks. A hair mask is the easiest way to bring life back to your mane. If you use a lot of heat styling tools or have chemically treated hair that's now turned limp and lifeless, you might really benefit from a quick and easy hair mask that can be whipped up in the comforts of your home. It's much better than a store brought hair mask because it's going to be all natural. All the ingredients required for these hair masks can be found right there in the comforts of your home and perhaps, garden. Here are the best DIY homemade hair masks! I'm pretty sure I don't have to give you a lecture on the benefits of aloe vera gel. It is natures miraculous plant that can be applied topically and consumed too. It's going to help you with practically every problem you have. In a bowl, scoop out some fresh aloe vera gel and add a few spoons of hibiscus oil to it. You can even add a combination of hibiscus, olive and coconut oil if you want to reap the benefits of them all. Toss the mixture into the blender until it turns into a curd-like consistency. Apply this all over your hair and scalp. Leave it on for an hour or leave it on overnight. Your hair will be super soft, nourished and glossy. And because the mixture is only half oil, it's going to make washing it off a lot easier too! If you hate oiling your hair because you find it hard to wash off, replace your weekly champi session with a mixture of aloe vera gel and oil and you'll be amazed at the results. Honey is a natural humectant which means that it's going to attract moisture and help your hair retain all of that moisture. This hair mask is particularly beneficial for anyone with dry, frizzy hair. Just take a few spoons of organic honey and add it to a bowl with equal spoons of hibiscus oil. Place the bowl in the microwave for about 10-30 seconds until it's warm. Give it a good mix and apply this to your hair. It's going to make your hair soft, manageable and take away all the dryness. Hibiscus oil can be used in the form of carrier oil or essential oil. If you are using the essential oil version, like any other essential oil, you will need to dilute it with another carrier oil. You can use anywhere between 5-15 drops of hibiscus essential oil in 3 - 4 tablespoons of carrier oil. 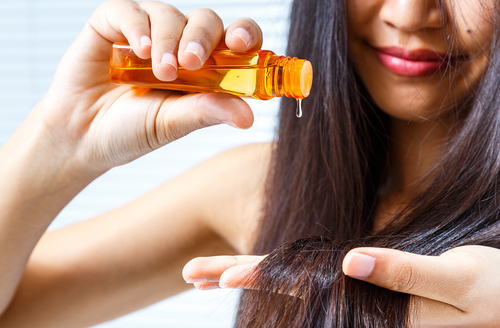 If you use the carrier oil, you can use it straight out of the bottle and onto your scalp. Here are the best hibiscus oil products you can buy in India! 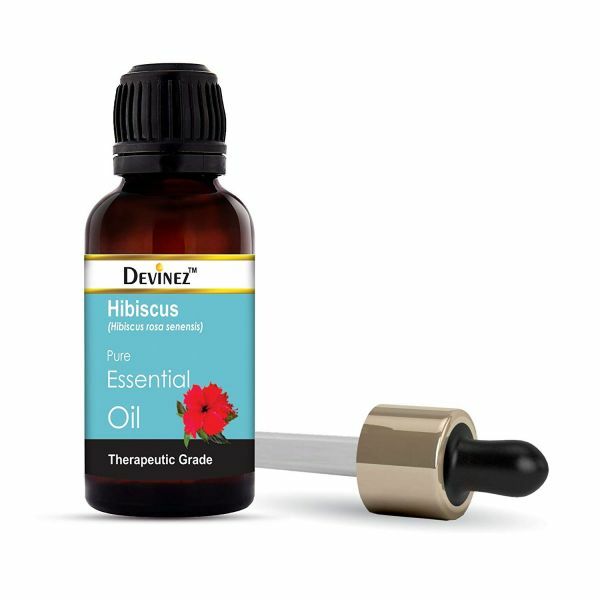 This is an essential oil version of hibiscus oil which means you would need to dilute it before application. Add a few drops of this to your regular carrier oil and use as you would normally. 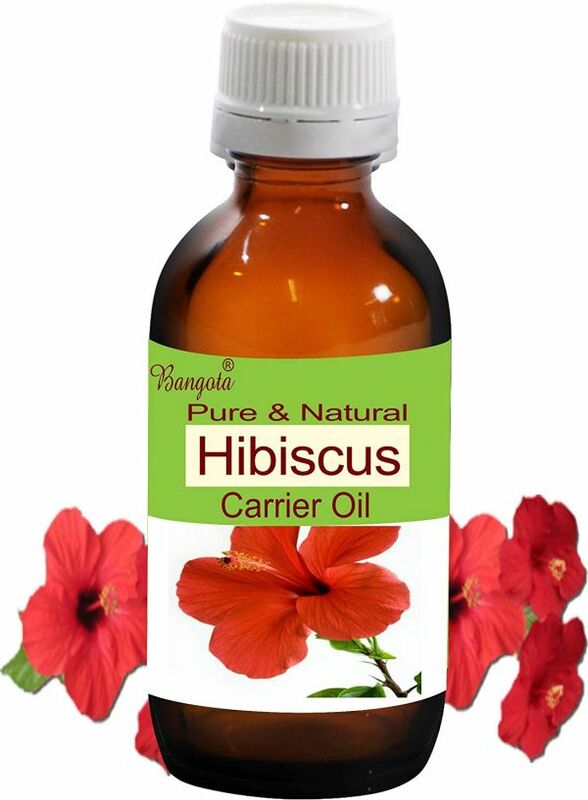 This is a hibiscus carrier oil which means that it can be used straight out of the bottle. Add it to your DIY hair mask recipes or use it as is for a hot oil head massage! This is a coconut oil and hibiscus hair oil blend that's going to be exceptionally beneficial with anybody who suffers from a lot of hair loss. You can replace your regular hair oil with this one and use it for your weekly oil massage and even in your DIY hair mask recipes. 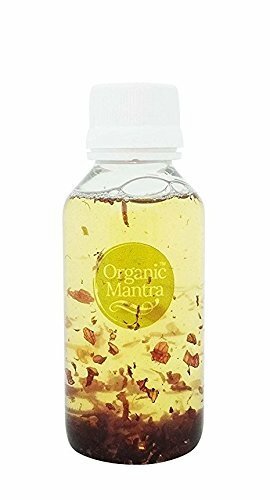 This organic hibiscus oil comes with hibiscus petals, how pretty does the bottle look. Apart from its adorable packaging, this bottle is quite versatile too. Since it's all natural and organic, it can be used on your hair, body and face!